The news out of Algeria continues to intrigue. Now that ailing President Abdelaziz Bouteflika, in power since 1999, has stepped down, Algerians and people around the world wonder if real change is afoot, or if the powers that have long surrounded the frail former president will try to hang on. The answers matter a great deal – not just for Algerians, but for the region. Instability in Algeria could prove toxic to fragile neighbors, and the tangle of conflicts, criminality, and disenfranchisement that plagues the Sahelian states cannot be sustainably addressed without Algerian buy-in. 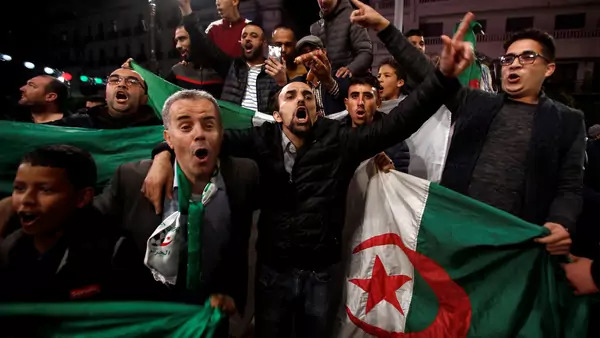 At the same time, the example being set in Algeria is being watched closely even by fairly distant populations like the Sudanese, who would like to see their own stale leadership step aside and allow the country to chart a new course. Algeria and its neighbors matter a great deal to the rest of Africa. The reverse is also true; Morocco is betting its economic future on African markets. For the United States, the interrelationships are perhaps most painfully obvious in the case of Libya, where the United States’ failure to anticipate lasting diplomatic blowback from disregarding the African Union, and more importantly an insufficient grasp of the security consequences of Libyan disorder for states like Mali and Nigeria, were among the serious mistakes that informed deeply flawed policy. But the United States government has long been of two minds about how to think about northern African states. For some agencies, like the Department of Defense, states like Algeria and Libya are part of the continental whole. But for the State Department, northern Africa is part of the Middle Eastern Bureau, while the Africa Bureau is responsible for sub-Saharan states. It’s time for our strange bureaucratic bifurcations to end. Clearer strategic thinking, an improved ability to seize opportunities when shared interests present themselves, and more cohesive and achievable set of diplomatic and development priorities that complement counter-terrorism strategies should be within the grasp of the United States. Whatever happens next in Algeria, its effects will not stop at the southern border. Re-organizing ourselves to see Africa as it is seems a reasonable price to pay for policy that squares with reality.